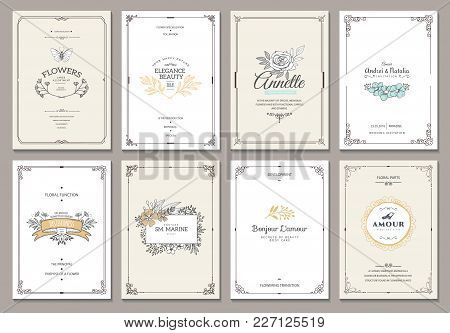 Vintage creative cards template with beautiful flourishes ornament elements. Elegant design for corporate identity, invitation, book covers. Design of background products.